Merely because conditions laid in the said provisions are satisfied, would not be a reason to necessarily issue such a notification, the court said. 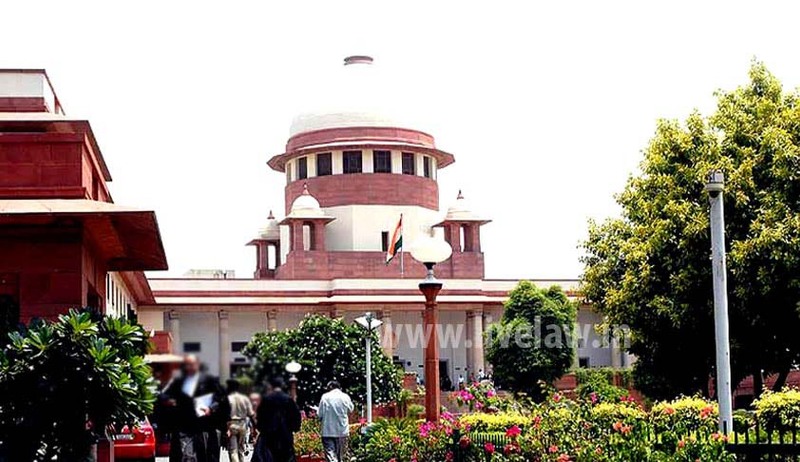 The Supreme Court, in M/s Mangalam Organics Ltd vs Union of India, has held that a writ of mandamus cannot be issued to the Central Government directing it to issue a notification under Section 11C of the Central Excise Act, 1944, to the effect that duty payable by the manufacturer on goods manufactured by it shall not be paid. A bench comprising Justice AK Sikri and Justice Ashok Bhushan upheld a high court judgment that held that Section 11C of the Act does not mandate the government to necessarily issue such a notification and in the absence of any obligation on the part of the government in this behalf, the courts are precluded from giving any mandamus to the Central government to exercise such a power and issue the notification. Challenging the Finance Ministry decision to not issue any such notification under Section 11C of the Act as it was going to benefit only two companies, Mangalam Organics Ltd had filed a writ petition before the high court, which got dismissed. The court observed that the specific policy of the government is that when a large section of trade is affected and any relief is proposed to be given, a notification under Section 11C of the Act is issued. When the reasons furnished by the government in not exercising its power to issue notification under Section 11C of the Act are seen in this perspective, namely, such a notification, if issued, is going to benefit only two units, we find them to be valid and justified, the bench said. The court held that no right under Article 14 or Article 19(1)(g) of the Constitution has been violated by non-issuance of notification under Section 11C of the Act. “Once the appellant accepts that in law it was liable to pay the duty, even if some of the units have been able to escape payment of duty for certain reasons, the appellant cannot say that no duty should be recovered from it by invoking Article 14 of the Constitution. It is well established that the equality clause enshrined in Article 14 of the Constitution is a positive concept and cannot be applied in the negative,” the bench said. “It has also to be borne in mind that in the instant case the appellant has already paid the duty. Section 11C contemplates those situations where duty is not paid. It does not cover the situation where duty is paid and that is to be refunded,” the court further observed.